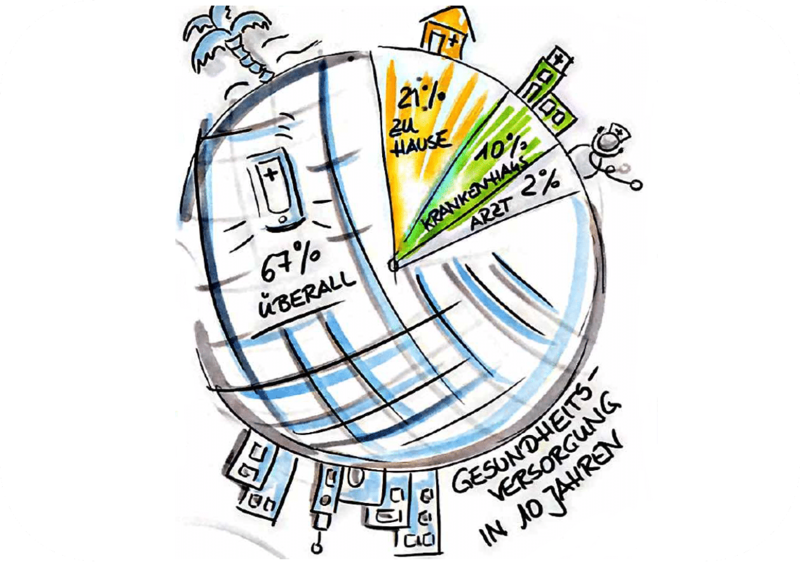 Pharma-, Medtech-, Biotech- und Diagnostic-industries are experiencing ubiquitouschange. Strong silo-mentality and tough regulatory forces in the healthcare sector create challenges for employees and leaders alike. In addition to that, trends such as reduced innovation in R&D departments and mounting digitalization of products and processes are increasing the complexity in the work environment. To solve the tension between the constant pressure to change on one hand and the rigorous structures on the other, organizations are looking for tools and methods that increase innovative thought and action. How can this be successful without overtaxing the change readiness and ability of the organizational culture nor underestimating the impact of existing rules and regulations? Potentially one key to solving the riddle is a school of thought that came up during the beginning of the Internet-age: Ambidextrous Leadership. In combination with clear expectation management, this leadership style can become a lever for high agility, which is needed by the innovation-dependent healthcare ecosystem. The concept of „Ambidextrous Leadership“ is not new. It dates back to the time when traditional “brick and mortar” companies were struggling to become operational in the online world at the advent of the Internet age: “Online” was not only new, but different: Changing strategies, new competitors, novel business models, adapted processes, diverse employee profiles. Companies that could manage these two worlds concurrently – as so-called two-speed organizations – were more successful than those who tried to run the emerging online business with the same structures and rules as their traditional business models. Internal research departments are generating fewer innovations organically. More and more frequently university spin-offs, small research laboratories and start-ups are innovating through leaner organizations and cost structures, shorter reconciliation processes and fierce entrepreneurial drive. Since Big Pharma urgently needs these innovations for market growth, they acquire those smaller entities or forge partnerships. Successful leaders manage to achieve this “ambidextrousness” by a high degree of agility in their thinking and actingwhen working withthe differences in e.g., the speed of processes or mindsets of employees. We all know that clearly communicated expectations greatly contribute to smooth operations. Nevertheless, many have a hard time communicating expectations of results to be achieved, lived values and, to some extent, behavior in clear, simple and open terms to our environment. Fixed processes and lengthy planning horizons are often ineffective in today’s environments and are replaced by a results orientation, which is guided by values and cultural norms. For this to work in the daily operations, [some] managers have to leave their comfort zone and express concretely, whatthey want to see achieved, without intervening too much in the technicalities of ‘howit is achieved’. Then innovation can unfold. Focus on a goal that the team develops, shares and tracks. Conclusion:Simple actions ofagility allow executives to be more innovative in highly complex work environments, bridge the gap between the “old world” and digital transformation, between traditional drug selling and patient focus, between clinical drug approval trials in mass markets to personalized and digitized therapies, all the way to individualized drug manufacturing with 3D printers. Start today with being more explicit in your expectation setting around what needs to get accomplished! The day of rare diseases on February 28 focussed attention once again this year on the high unmet medical need in view of the 6,000 to 8,000 ‘rare’ or ‘orphan diseases’ for which there are until now no comprehensive therapies.1 The summary of the medicines newly approved in 2017 in Germany may mark an advance with 9 of 31 orphan drugs in this regard.2 The potential for innovative foreign companies, however, is evident – combined with the fact that a market entry in Germany is critical for success at the European level, it is logical for start-ups in particular to take the German market into consideration as their first choice for an expansion. A successful concept for this will include both organizational and market-specific aspects. Orphan drugs, in addition to other therapeutic agents, provide a good example of business ideas with a potential for expansion. That’s because those who are working in the area of orphan diseases are researching at the forefront: many rare diseases are genetically determined, and scientists need to make use of molecular biology methods to clarify the disease mechanisms.3 The corresponding medicinal products are not infrequently developed by start-ups based in the USA. After market launch in the United States, the second step is to develop markets in Europe. Due to Germany’s size as well as its relatively rapid reimbursement, many such companies consider the country an attractive initial target market. The lessons learned in Germany can then be transferred to other European countries. In a market expansion, foreign companies are confronted with numerous internal and external challenges. In particular, newly established companies lack the functional and specialist resources that an established player has from the outset. A network of competent, independent service providers with different specializations provides a powerful and at the same time cost-effective solution to creating the organizational and structural conditions for successful establishment in Germany and launch of the products. At the company level, the first steps include searching for a suitable location and setting up a subsidiary, for instance a capital company. Decisions also need to be made on the topics of distribution and logistics. The latter can pose a great challenge in gene therapies. Besides regulations under finance and labor law, there are specific topics for the pharmaceutical industry when founding a company: for instance, establishing pharmacovigilance, appointing information officers, creating approval procedures, or generating a wholesale license. 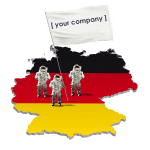 The product-specific and market-specific challenges with which even established players are confronted when launching a product in Germany consist mainly of a profound understanding of the market when deriving a launch strategy, and bringing about a successful product launch. Once the market mechanisms, treatment guidelines and relevant stakeholders are known, it is easier for companies to develop market access and price strategies and address the right target groups – from medical specialist groups to patient organizations to public health policy. The time required and the complexity of these tasks are often underestimated. At the same time, the individuals responsible are making decisions with a great scope, decisions are then difficult to revise. Whether for orphan drugs or other new products: for companies abroad of varying sizes, collaborating with cross-functional teams of local consultants is worthwhile for successful entry into the German market. A company like SpacePharma, supplier of automated testing procedures in space, has a very favorable point of departure: they have found an extremely innovative topic – without competition thus far – and have a unique product for which there is currently no market but a need. Backed with sufficient financing, they can further develop and implement their ideas for years. But market segments that are already developed can also be targeted successfully. This article takes a look at current conditions on the German market and provides useful tips for successful market entry. Besides the convergence of medical technology and information technologies, computerization includes the development of high-performance implants through improved hardware and software, model-based image processing, and the intelligent control of dialysis and ventilation systems. Molecularization includes, inter alia, nanoparticles that release drugs in a controlled fashion and the development of new functional biomaterials that imitate natural tissues. Devices meet the miniaturization trend that, for instance, enable an examination directly at the doctor’s office and the application of implantable micro-systems that work sensorially, by telemetry, or with a connection to nerves. Technology for “regenerative medicine”, such as artificial tissue models. The challenges on the German market are above all in competition, in reimbursement and with customers. The German market is widely distributed; relationships between suppliers and care providers are strong – meaning that even a company with a product with a persuasive USP has to face up to the competition. About 58 percent of the market is financed by statutory health insurers; an additional 8.9 percent comes from private health insurers. The requirements from reimbursement are thus clearly defined. The German Technical Aids Register serves as the “gatekeeper” for reimbursement in outpatient care. Often, the new product does not match the product groups, and for that reason alternative sales channels must be developed. In B2B business, the focus is on hospitals, doctors’ offices and pharmacies. Business with hospitals is complex since the decision-making processes – particularly for capital goods – vary greatly. A survey of 404 hospitals2 identified twelve different decision-making bodies: from the chief physician to the managing director to the IT, medical technology or purchasing department – and various combinations thereof. In addition, doctors’ offices are difficult to reach with a dispersed sales force. 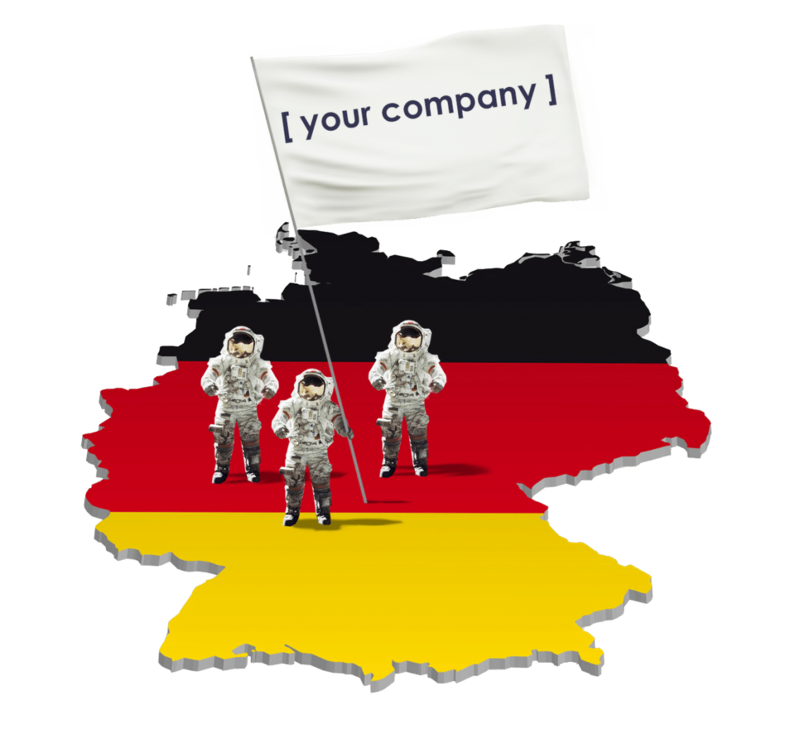 A large share of the companies that want to capture the German market come from the booming segment of mobile applications. Successes here are few and far between, as there is often a lack of business models3. Only a few approaches are promising for medical apps in Germany. One possibility is financing by statutory and/or private health insurers or the sale of the application to the end users. Selling to existing care providers is another option. Thus, for instance, providers of emergency call services are a sought-after target group for providers of monitoring apps (wearables). What existing (medical care) process is improved by means of the application? What are the advantages for users in everyday use (e.g., real time savings)? How significant are the changes for users? 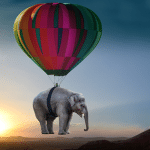 How much effort must be expended for IT administration, data or decision management? Many applications on the market reveal an alarming lack of knowledge about real medical care processes in hospitals, doctors’ offices or at home. The decision on which market segment to position one’s product helps define the guiding principles for going forward, particularly what path one embarks on to the source of money. On the market for statutory health insurers, these guiding principles are the obstacles to reimbursement, while on the market for privately insured individuals it is customers’ own budgets. The challenges, not just in the B2B segment, are in driving out the existing relationships between manufacturers and customers. Besides in marketing and sales, there are also often care concepts that have to be implemented together with the care providers, such as pharmacies or medical supply stores. For each step, you need competent support from the market – and that’s what the Healthcare Shapers offer: the network can provide experienced experts with the appropriate knowledge from development, approvals (medical technology), to market access with topics like reimbursement, market know-how, sales concepts and care models, to implementation. 1 Aachener Kompetenzzentrum Medizintechnik – AKM und AGIT mbH; Zur Situation der Medizintechnik in Deutschland im internationalen Vergleich [On the Situation of Medical Technology in Germany in an International Comparison], Feb. 4, 2005. 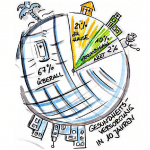 2 FAQ Consulting GmbH, survey of 404 German hospitals, 2011, for results ask the author. “You can not describe virtual reality (VR), you have to experience VR by yourself”. 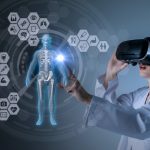 In line with this knowledge, the following article is addressing all “Healthcare enthusiasts” who like to become inspired during the search for innovative solutions in the healthcare sector. On this voyage of discovery through virtual worlds many further links and finds are deposited, which should animate the reader to test one or the other use case in his own business. Although there have been numerous attempts in the 1990s to produce better virtual reality smart glasses with the development of computer technology, all attempts failed due to the inadequate immersion of users in the virtual world and the poor quality and performance of computers and displays. Enormous progress in the development of high-performance computer processors and graphics cards has influenced a 19-year-old young man named Palmer Luckey and founder of Oculus, who decided to merge these components in 2012 to create an innovative head-mounted display (HMD). This enabled him not only to experience immersive gaming experiences in front of the screen, but to have the feeling that he himself was part of the virtual world. Facebook’s USD 2.3 Billion acquisition of Oculus in March 2014 and the rapid development of the VR technology over the last five years have not only exploit new business opportunities for innovative and fascinating non-gaming business applications. Also very interesting case studies for medical applications and for the use in the healthcare became the focus of interest. With the VR technology the users of VR goggles are teleported into another virtual world. The experienced feeling in this world – also called “the sense of presence” – is so strong with the new developed VR glasses, that this opened up completely new therapeutic, training and marketing approaches. Many potential use cases have already been tested and implemented in the medical and pharmaceutical industry. Selected reference projects that have generated corresponding added value in various business areas are summarized below. Innovations and corporate image – visualization in VR creates new perspectives and insights, companies as innovative pioneers. The first concrete implementations in other industry segments and in the areas of eCommerce, entertainment, corporate training and trainings suggest further areas of application: the virtual pharmacy, the virtual consultants, virtual home visits, the patient exchange in social areas with those affected and their own avatar. There are many reasons why these applications are still in their infancy for healthcare. 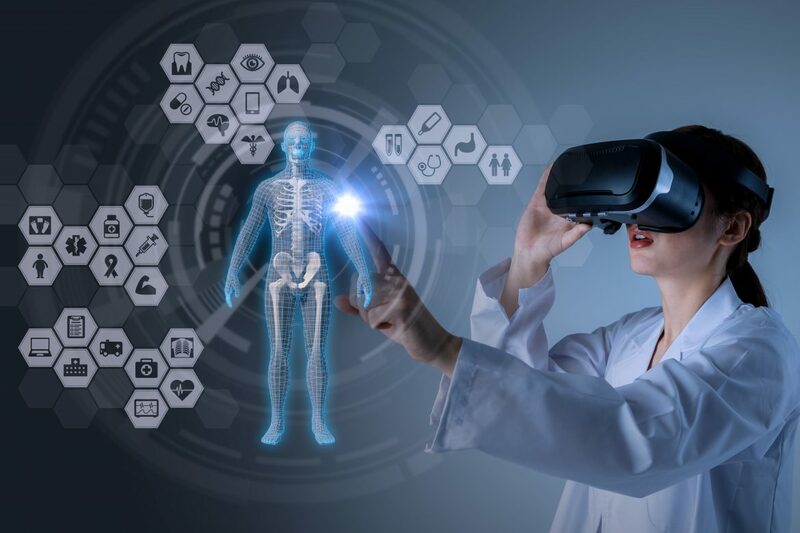 These include legal requirements (patient protection and confidentiality of data), the complex ecosystem with patients, doctors, therapists, health insurance companies, authorities, clinics and pharmaceutical companies, as well as the fact that the high-performance VR glasses are still quite expensive especially for the end consumers. Despite these challenges, there are already numerous ways to find a quick and cost-acceptable way to get started with this new technology. With so-called cardboards you can already try out a lot of VR content with your own smartphone. Even though the immersion and the sense of presence are very limited with these simple but inexpensive models, especially 360° videos can create great experiences and provide a whole new perspective for many situations. These glasses are used when you want to serve end consumers or online marketing and communication channels (such as YouTube). With mobile, wireless, high-quality VR glasses such as the Samsung GearVR, the ZeissVR One, the Google Daydream or, in the future, the Oculus Go comes close to a perfect presence feeling in virtual worlds. Such wireless systems are primarily used at events, in marketing and sales. For medical simulations and for real-time VR experiences with as much freedom of movement, the more powerful high-end VR goggles connected to a PC or laptop with a powerful graphics card are required. Market leaders for business applications here are currently the Facebook system with the Oculus Rift and HTC with the Vive. Corresponding ergonomic controllers allow the complete immersion in the virtual worlds with high interactivity with the own avatar hands. User-friendly and intuitive software tools such as The Virtual Reality Suite allows interested users without any programming knowledge to create their first impressing VR experiences and VR presentations in order to test and evaluate potential value-added case studies. The author has summarized further inspirations and numerous qualitatively described use cases from various branches in the study “New Dimensions of Reality” published in cooperation with KPMG. Ever since the invention of electronic communication devices physicians have used technology in the care of patients, practicing “medicine at a distance”: In the 1950s, the Mayo Clinic in USA received an electronically transmitted EKG from Australia; astronauts were telemetrically monitored in space in the 1960s; and the 1970s saw an early emergence of telemedicine to Indian reservations to improve their access to healthcare. In the 1990s, the digitization of radiological images enabled the interpretation from virtually any location in the world and teleradiology was born. Especially over the last 10 years, as technology has become more affordable and reliable, telehealth has moved into the mainstream, especially in the US. 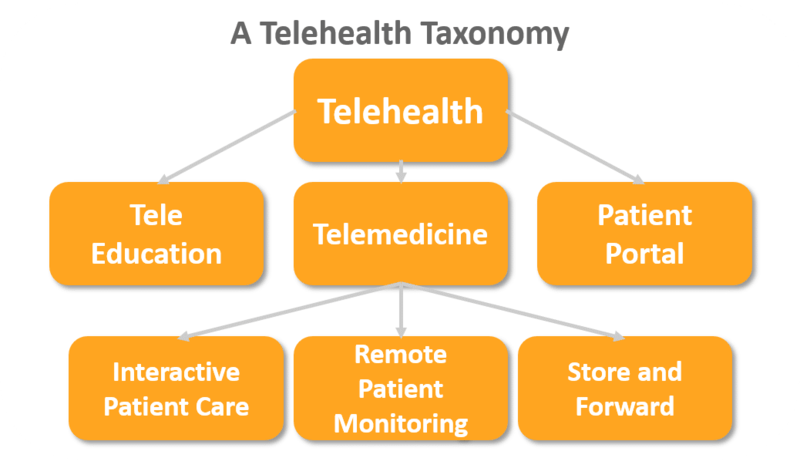 This article, based on the author’s experience of working in the field in the US for over 15 years, depicts successful examples of today and examines common applications of telemedicine, while discussing their merits and benefits. Store-and-Forward – asynchronous capture and transmission of images, video and sound, e.g., faxing EKGs, sending pictures of melanomas, and teleradiology. Simply put, Telehealth offers an alternative way to delivering healthcare and practicing medicine. The only difference to traditional care is that the patient and the physician (or other providers, educators, or therapists) are not at the same physical location. Telehealth thus gives patients easier access to care, while enabling physicians to share their expertise beyond their physical location. Chart: The nine most commonly deployed telemedicine services in US organized by the complexity of the technology and implementation and their relative benefit and value related to health outcomes and cost savings. Within the home environment, telemedicine can provide rural or less mobile patients access to primary care and specialty care, especially behavioral health, typically as pre-scheduled appointments. But also ad hoc access to care is easily set up, especially by using external telemedicine service providers who specialize in 24×7 urgent care. 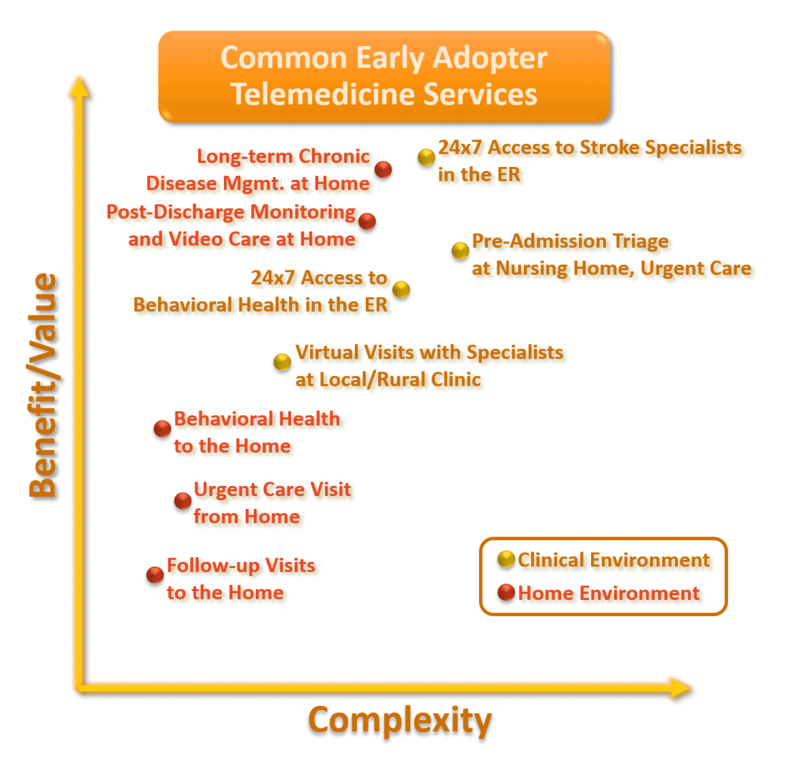 A second and highly beneficial set of telemedicine services in the patient’s home involves remote patient monitoring – either for preventing avoidable readmissions for many common (and costly) indications such as CHF or COPD or for the long-term monitoring of chronically ill patients (e.g., diabetes, cardiac diseases) to avoid unnecessary hospitalizations. Within the clinical environment, the highest value and most commonly implemented use cases involve access to a neurologist for stroke evaluations in the ER or remote pre-admission assessments and triage with patients at nursing homes. In addition, especially in rural clinics, access to specialty care provider greatly eliminates the need for patient travel in many situations. The following use cases give a deeper insight into nine most commonly deployed telemedicine services in US, ranging from remotely caring for patients in their home to providing specialty expertise between disconnected healthcare locations. Follow-Up Visits at Home: Most outpatient interactions with physicians today are limited to a handshake and a good conversation. So why not spare patients the trip to the doctor’s office? If the physician wants to review test results with a patient or if a patient wants to check in with a specialist on some questions, it can be done just as easily from the patient’s tablet, computer or smartphone at home, in the office or even from the hotel room while traveling for business or leisure. Urgent Care Visits from Home: Oftentimes what ails us – a common cold, a headache, or an upset stomach – can easily be addressed and treated with some simple care recommendation or an easily obtained prescription. Obviously, many urgent care conditions cannot be treated virtually – but access to this service can also serve as triage – should I call an ambulance, go to the ER or see my GP the next day? Behavioral Health Visits at Home: There is strong correlation between mental health disorders including depression, eating disorders, or low self-esteem and associated diseases such as obesity, hypertension, diabetes, and cardiovascular diseases. Thus, especially regular access to behavioral health visits is key to managing a person’s overall health. Plus, it removes common barriers and root causes of missed in-person appointments.Telemedicine offers a secure, easy solution to connect patients with providers. Post-Discharge Monitoring and Video Care: The one-time reimbursement for an episode of care has led many hospitals to seek the prevention of avoidable readmissions by monitoring the patient’s vital signs for the weeks past discharge. Some hospitals have seen readmission rates drop by 80 percent and investments into the monitoring have yielded ROIs of over 1,000 percent. Long-term Chronic Diseases Monitoring: Especially for patients with multiple chronic diseases long-term monitoring can bring significant benefits for the patient, the patient’s family, and the care providers. Through periodic monitoring and interaction via video, the decompensation of a patient’s condition, especially when compared to a baseline, can be detected very early and be improved simply through medication adjustments or ambulatory interventions. 24×7 Access to Stroke Specialists in the Emergency Room (ER): When a patient experiences a stroke, the quicker the life-saving treatment tPA can be administered, the better the health outcome and the lower the treatment cost. With telemedicine, the on-call neurologist can interview the patient, review the CT scanand be exam the patient using a high-definition pan-tilt-zoom camera to search the patient’s face for the stroke-typical drooping of the facial muscles before working with the ER staff to initiate the right course of treatment. 24×7 Access to Behavioral Health in the ER: In many American ERs, oftentimes rooms are occupied by mentally unstable patients that must be kept under observation, pending a psychiatric evaluation. 24×7 access to Behavioral Health specialists improves access and keeps the ER’s capacity up and the risk for other patients and staff down. Pre-admission Triage at Nursing Homes and Urgent Care Centers: Unnecessary admissions, sometimes motivated by reducing the organization’s liability, sometimes due to the lack of clinical expertise, account for a high percentage of avoidable care cost. With a quick remote assessment and triage of a patient’s condition, avoidable transportation and acute care cost can be avoided or in many cases lead to a direct admission to the hospital, avoiding a costly stay in the ER. Virtual Visits with Specialists at Local Clinic: For many patients in rural areas access to specialists oftentimes brings with it the hassle of a multi-hour drive. With telemedicine, specialists can now easily make a “house call” at the patient’s local clinic. And with the availability of many basic exam tools as a digital version, such as video otoscopes and digital stethoscopes, even basic exams can be conducted with the help of a clinically trained telepresenter. Virtual visits with specialists allow patients to learn about treatment options, prepare for procedures or receive post-operative follow-up care. Just a quick glance at the healthcare systems in the US, Canada, and Scandinavia reveals that telemedicine in the not-so-distant future will become the default way to receive care. 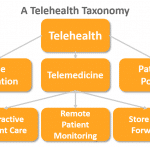 Positioned at the intersection of value, convenience, and quality, telehealth is here to stay until the day we all have implantable Tricorders measuring and treating our diseases.